Bayern Munich will be without stalwart custodian Manuel Neuer until January after undergoing an operation to treat a broken foot. FourFourTwo claim the 31-year-old fractured a left metatarsal in training before going under the knife on Tuesday. 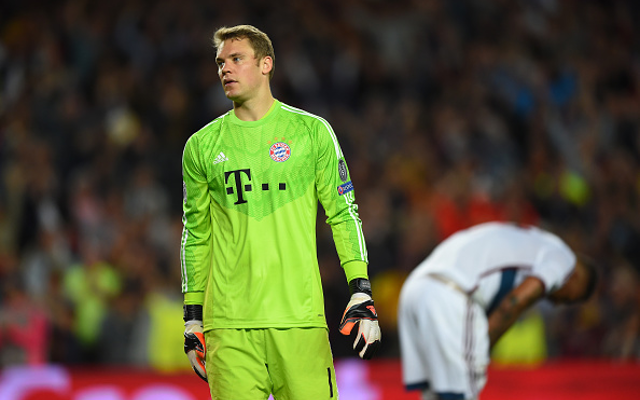 The goalkeeper was ruled out of the second half of last season after breaking a bone in the same foot during Bayern’s Champions League quarter-final against Real Madrid. Never managed a mild four games this season after making his brief return in last month’s 2-0 win over Wolfsburg. Sven Ulreich will replace him in between the sticks and is due to start in the club’s clash with Schalke in their Bundesliga meeting on Tuesday. Arjen Robben (illness), David Alaba and Juan Bernat (ankle injuries) will all miss the game. 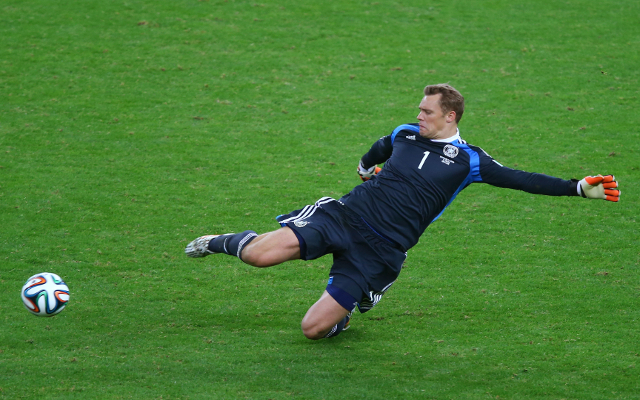 Neuer won the World Cup with Germany in 2014 where he also received the golden glove. The news will be a big blow not only for Bayern but for Germany too as they look to prepare their squad ahead of the 2018 World Cup in Russia where the nation will look to defend their crown.